HILO, HAWAII — The Department of Land and Natural Resources (DLNR) Division of Forestry and Wildlife (DOFAW) will hold a public hearing on Wednesday November 16 to receive testimony on the request of Kamehameha Schools for a 50-year Incidental Take License (ITL) from the Board of Land and Natural Resources for a Safe Harbor Agreement (SHA) for a 32,280-acre property located near Volcano Village on the island of Hawai‘i. The hearing will be held at 6 p.m. on November 16, 2016 at the Volcano School of Art & Science, Keakealani Campus, 19-4024 Haunani Road, Volcano, HI 96785. The safe harbor agreement is a voluntary agreement between parties that is intended to promote recovery of endangered species. It covers 8 wildlife and 25 plant species (“covered species”). 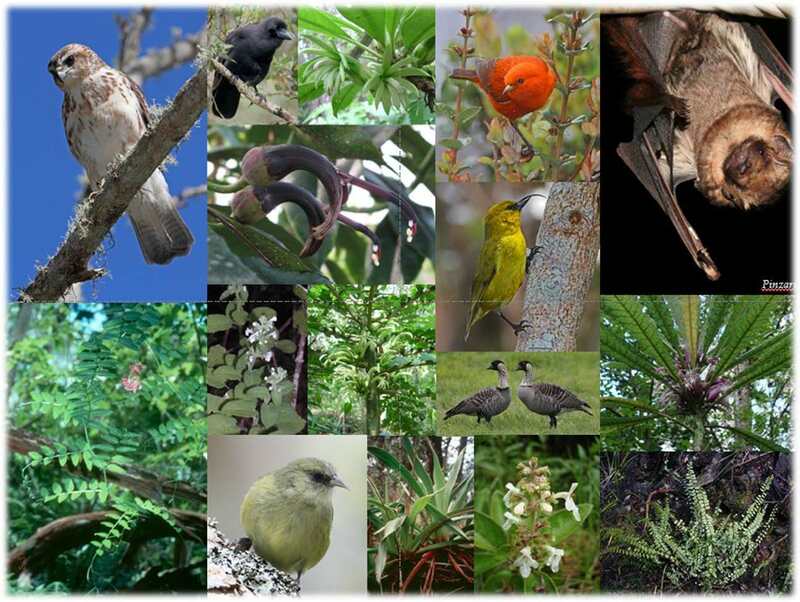 The 50-year agreement promotes recovery of the Federal- and State-endangered Hawaiʻi Creeper (Loxops mana), Hawaiʻi ʻĀkepa (Loxops coccineus), ʻAkiapōlāʻau (Hemignathus wilsoni), ʻIʻiwi (Vestiaria coccinea), ʻIo or Hawaiian Hawk (Buteo solitarius), Nēnē or Hawaiian Goose (Branta sandvicensis), ʻAlalā or Hawaiian Crow (Corvus hawaiiensis), ʻŌpeʻapeʻa or Hawaiian Hoary Bat (Lasiurus cinereus semotus) and twenty-five endangered plant species. The SHA specifies the types of activities that would occur and that could result in incidental take. Overall, the plan will increase the likelihood of recovery of the covered species and result in a net environmental benefit through habitat improvement and resulting expanded species ranges and populations, and increased genetic diversity. Baseline is a key concept for an SHA and is defined in the SHA as a quantified habitat area (in acres) or a specific number of listed individuals present on the Enrolled Property and that reflect how much habitat or how many individuals of a species are present at the start of the SHA. SHA conservation measures are intended to increase the baseline. Although unlikely, the enrolled property can be returned to baseline upon termination of the agreement. Copies of the draft safe harbor agreement are available for review at the DLNR Division of Forestry and Wildlife office in Honolulu, 1151 Punchbowl St., Rm. 325. Copies will also be available at the public hearing. Anyone planning to attend the hearing who requires auxiliary aids (taped materials or sign language interpreter) please contact the Division of Forestry and Wildlife, 1151 Punchbowl Street, Room 325, Honolulu, HI 96813; (808) 587-0166. If you are unable to attend the hearing and wish to provide testimony, please send comments to the above address, attention Kate Cullison or send an email request to katherine.cullison@hawaii.gov. Comments should be received by December 22, 2016.